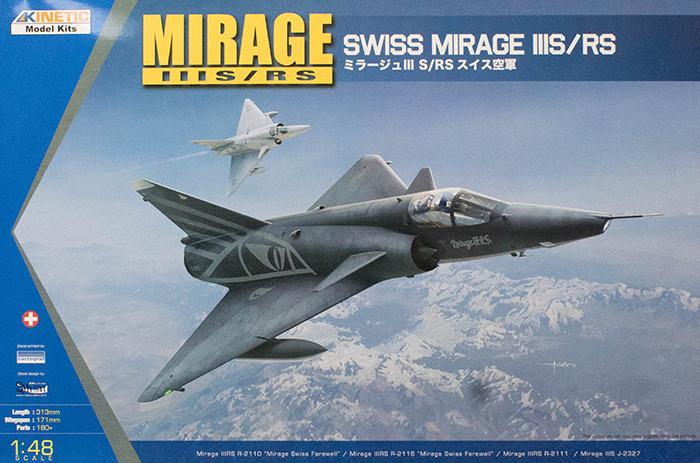 The Mirage IIIS was a French Mirage IIIC built to Swiss specifications and built in Switzerland. While the aircraft was nearly identical externally to its French cousin, the Mirage IIIS was built with a stronger airframe and landing gear to withstand movement by crane inside the Swiss caverns that serve as protective airbases. The Mirage IIIS also replaced the French Cyrano radar with a Hughes made system. The aircraft entered service in 1967 and received a major airframe refresh/upgrade in the 1990s where it received canards like the Mirage 50. The Mirage IIIRS replaced the radar nose with a reconnaissance nose and the ability to carry additional reconnaissance sensors in a centerline pod. 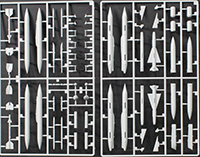 The instructions do not mention weapons for the Mirage IIIS, but as you can see on the sprue trees, the kit does include 2 x AIM-9B Sidewinders, two Matra missiles, and a few other options though you'll have to check your references to see what the Mirage IIIS was originally armed with and what additional capabilities were added with the upgrades that included the canards. These decals are nicely done and include a nice suite of airframe stenciling. 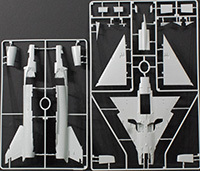 Painting instructions are provided using Vallejo, Humbrol, Ammo/MIG, Mr. Color, and Tamiya equivalents. If you only look at the profiles, only the Humbrol colors are listed, but the table on page two will convert those to other manufacturers' paints. This is another very nice release from Kinetic and continues to provide distinctive examples of the Mirage III/V family. I have a soft spot for reconnaissance aircraft anyway, so look for one of hte two Swiss farewell schemes to appear in a build review soon.